François Bourguignon is Emeritus Professor of Economics at the Paris School of Economics and Professor of Economics, L'École des hautes études en sciences sociales. In the past, he has served as the Director of the Paris School of Economics, the Chief Economist and Senior Vice President, the World Bank, Washington (2003-2007) and as the Advisor of the Chief Economist at Banque Mondiale (1999-2000). Dr. Bourguignon was the founder and first Director of Delta, Joint Research Unit Cnrs, Ehess et Ens (1988). He is a Statistician from École nationale de la statistique et de l'administration économique and holds a Ph.D. in Economics from the University of Western Ontario. Dr. Bourguignon also has a DEA Mathématiques appliquées, Université Paris and a Doctorat d'Etat en économie, Université d'Orléans. His fields of research include income distribution, inequality and poverty, redistribution, economic development and he has authored a number of books related to these issues. He has received several awards and merits for his works. 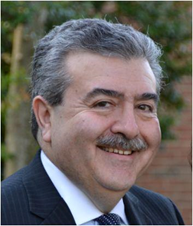 Shahrokh Fardoust is a research professor at the Institute of the Theory and Practice of International Relations at the College of William and Mary. He has more than 30 years’ experience in crafting economic development policy and analyzing the global economy and prospects. From 2008 to 2011, he was Director of Strategy and Operations, Development Economics, the World Bank, where he contributed to the research and policy priorities of the Chief Economist, the G20’s development agenda, and the review and quality assurance of the World Bank’s major policy papers and analytical reports. He also served as Senior Adviser to the Director-General of the Independent Evaluation Group and Senior Economic Adviser to the Senior Vice President and Chief Economist at the World Bank. He was a member of the core team for the World Development Report, a senior economist for Egypt, a lead economist for Pakistan, and an economic advisor on India. Dr. Fardoust obtained his PhD in economics from the University of Pennsylvania. He has authored numerous papers and reports on development policy. He is a member of the SovereigNET Advisory Council at the Fletcher School at Tufts University. Emmanuel (Manny) Jimenez is Executive Director of the International Initiative on Impact Evaluation (3ie). 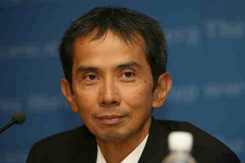 He came to 3ie early in 2015 after many years at the World Bank Group where he provided technical expertise and strategic leadership in a number of research and operational positions including as director of the bank’s operational program in human development in its Asia regions from 2000-2012. Before joining the bank, Dr Jimenez was on the economics faculty at the University of Western Ontario in London, Canada. He received his Ph.D. from Brown University. Arianna Legovini built and leads the Development Impact Evaluation (DIME) group of the World Bank. The purpose of this unit is to use research to improve development practice and policy outcomes. Since joining the Bank in 2004, she has worked to understand and develop the institutions (incentives and processes) required to engage researchers, operational staff and policymakers in improving the quality in the design and implementation of development projects. In 2004-2008, working with like-minded partners, the ideas were put in action with the creation of the Africa Impact Evaluation initiative and its programs in education, HIV, malaria, community development, agriculture and private sector. In 2009, she imported Africa-grown lessons, processes and programs into the global impact evaluation program. 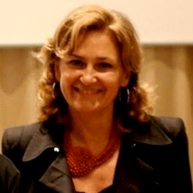 By 2013, with core funding from UK Aid, she designed i2i (impact evaluation to development impact) to support the expansion of the approach across many institutional partners and across under-evaluated sectors representing the majority of development aid, including infrastructure, fragility and conflict, public sector governance, and natural resource management sectors. 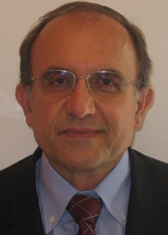 Alexandros (Alexander) Sarris from 1982 to 2015 was professor in the department of economics, University of Athens, Greece. Since 2015 he is emeritus professor. 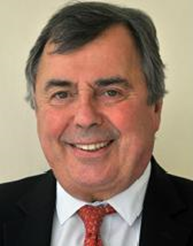 During 2003-2010 he was Director of Trade and Markets at the UN Food and Agriculture Organization, and during 1976-1982 was assistant professor at the University of California, Berkeley, USA. He holds a PhD in economics from the Massachusetts Institute of Technology, USA. He has authored more than 15 books and monographs, and more than 70 journal and book articles on international trade and development, has received several Awards, and has served in the editorial boards of several journals. He has advised extensively many national and international organizations, and has field research and policy advice experience in over 20 countries.